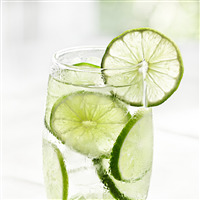 As refreshing as the fresh squeezed lemonade from your local stand, a delightful and sweet mix of lemon and lime with the perfect hint of pink sugar. Gluten-free. COMMENTS: This oil smells exactly like the real thing which has been a problem with some oils that I have tried. I would definitely recommend this product to anyone! "Pink Lemonade - Sweetened Flavor Oil 814"
COMMENTS: I purchased the Pink Lemonade Sweetened Flavor Oil for our Lip Scrubs and Lip Balms. We have been using a Pink Lemonade Sweetened Flavor Oil from another vendor, but since recently discovering Wholesale Supplies Plus, and joining Rewards Program I thought I should give this scent a try. Oh My Goodness, I am glad I did. This scent far exceeds the quality and fragrance of the flavor oil we were previously using. I had about 4 ounces of the other flavor oil left when we received the product from Wholesale Supplies Plus, I did something I have never done before, I throw out the other vendors "pink lemonade" scent. If you are using this scent from a different vendor, I urge you to try WSP's Pink Lemonade Sweetend Flavor Oil, it's devine. You will find yourself looking for your glass of pink lemonade, it's so real. Thank you for this beautiful scent WSP. COMMENTS: I purchased pink lemonade flavor oil to use for lip scrubs and lip balms. I absolutely love this flavor oil. The oil mixes well with the scrub and balm and smells and tastes just like fresh squeezed strawberry lemonade. Customers absolutely love this fragrance! 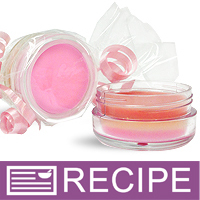 COMMENTS: We made a batch of lip balms for us to use before I add it to my website. It's awful. I only used 4%, which is less than half the max usage. It smells nice but the flavor is bitter and chemical tasting. I had my husband check also and he agreed that it didn't taste sweet but it tasted like chemicals. COMMENTS: another favorite for my customers. I love it too. "smell good but bitter taste :("
COMMENTS: We really love the smell but it makes the lipbalm has bitter taste. COMMENTS: I use this in my lip balms and it smells just as described!! COMMENTS: The first batch I made seemed almost bitter to the taste so I came online to WSP site and read through other reviews and found that a few people were having this issue. I also found a wonderful response from WSP explaining that less is more for this flavor oil. After remelting my first batch and doubling it with no additional flavor oil it is great an actual favorite of our customers KEY thing to remember LESS IS MORE with this FO. COMMENTS: Found this flavoring oil to be horribly bitter! Not good at all no matter how much or how little I used. WSP Response: Normal usage rate is 1-2%. Please check if usinf within this range. COMMENTS: This really does smell like Pink Lemonade,makes really good bath bombs. "Smells like lemonade from the Fair"
COMMENTS: This smells so authentic, I might just have to try it in a lotion or shower gel since it's rated safe for other b&b. 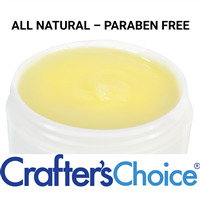 COMMENTS: I COULD NOT get this "sweetened" flavor oil to work with my balm base, it tastes awful! I added more sweetener but I still had to toss out a ton of base. I love the balm base, but I'm still in search of a flavored oil that will work. 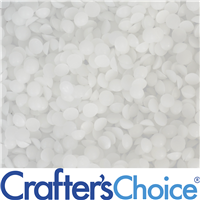 COMMENTS: Love this flavor, glad that it is sweetened, saves a lot of time. Customers love this flavor as well. COMMENTS: The amount I used was a little too much as the flavor was strong in my lip balm but I think I would like it if I used a little less next time. I loved the pink color! COMMENTS: This oil is a great addition to my lip balm. 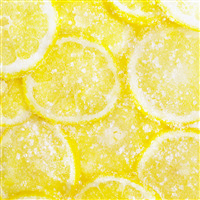 Flavor is not to sweet with the tart lemon after test of home made fresh lemonade. This has grown to a flavor I have to keep in Stock year round. COMMENTS: Tastes (well, SMELLS) like pink lemonade! Love it! "Wasnt sure but know I Know"
COMMENTS: Reminds me of Summer….Some like it some don't but it depends on the person, it really does make you think of summer days. It has been a big hit in my lotion bars because the scent is not too strong but uplifting. I will be buying again. "Nice flavor of you like lemonade"
COMMENTS: I love the flavor bc it definitely lives up to its name. Some customers have said it's too potent but most seem to love it. COMMENTS: After reading the other reviews I was hesitant to purchase this, but im very glad I did. It only takes a few drops and it smells and tastes amazing! COMMENTS: I was not impressed with this one out of the bottle. When I put it in lip balm tins however it was fantastic. All your flavor oils have been amazing, thank you! "Are these products tested on animals?" Staff Answer Our company does not test products on animals. "Do the flavor oils cause any drying of the lips?" 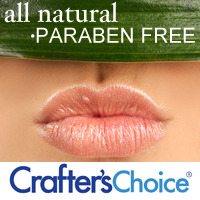 Staff Answer The sweetened flavor oils that we supply are specifically created and are safe for usage on the lips. Each person may have a different experience with this product. It is important that you use the amount that the IFRA guidelines deem as safe for lips. Be certain to test your lip balm/gloss to be sure that you do not have a reaction. "How many ml/tsp of sweetened flavor oil should I use for a 2oz batch of WSP lip balm base for sticks?" A starting point would be 1/3rd of an ml (which is .5% of your base). "how much of this should i add to 4oz of the WSP lip base for sticks?" Hello, Per WSP's IFRA sheet, they recommend using this product at 8.8% of your total batch weight for lip products. "What type of sweetener is used in these sweetened flavor oils?"